The Center for Advanced Technology in Schools was a project in collaboration with UCLA CRESST to create pre-algebra games with embedded assessment methods. The game lab team created three casual games addressing the topics of rational numbers numbers and equations. The mechanics and level design of these games were integrated with core curriculum around these topics. 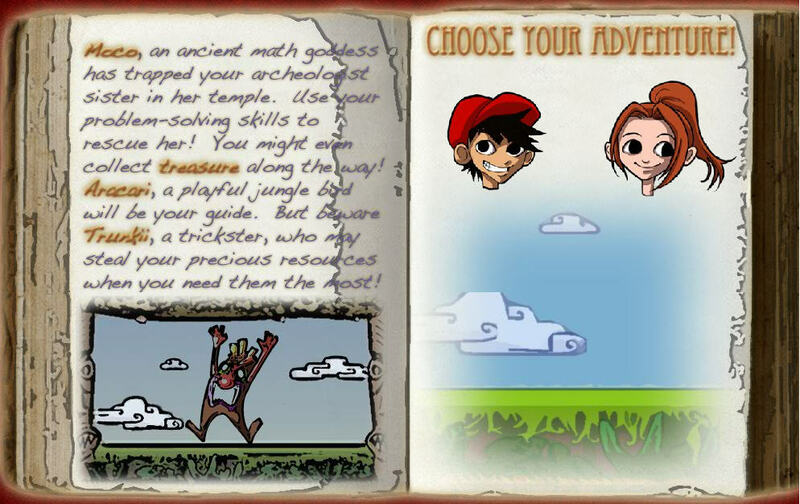 For example, “Tlaloc’s Book” is a puzzle platforming game in which players collect whole numbers, fractions, and mathematical operators, which they use to perform operations on platforms to change the platforms’ heights. “Zooples” is an action puzzle in which players must balance the wings of an alien spaceship by solving equations. And “Puppetman” is another casual puzzle game in which players use their knowledge of rational numbers to successfully trampoline their puppet across pits of fearsome lava. During the design process for these games the team tested prototypes with grade schoolers, to make sure that the game was challenging and fun for the target audience. The game lab team worked with education theorists and designers to ensure that the game accurately implemented recent theories of learning.